Panasonic made a few announcements at Photokina 2016 in Cologne, Germany, alongside the new Panasonic GH5, the G80 and the LX15, they also introduced the new FZ2000, the replacement to the FZ1000. 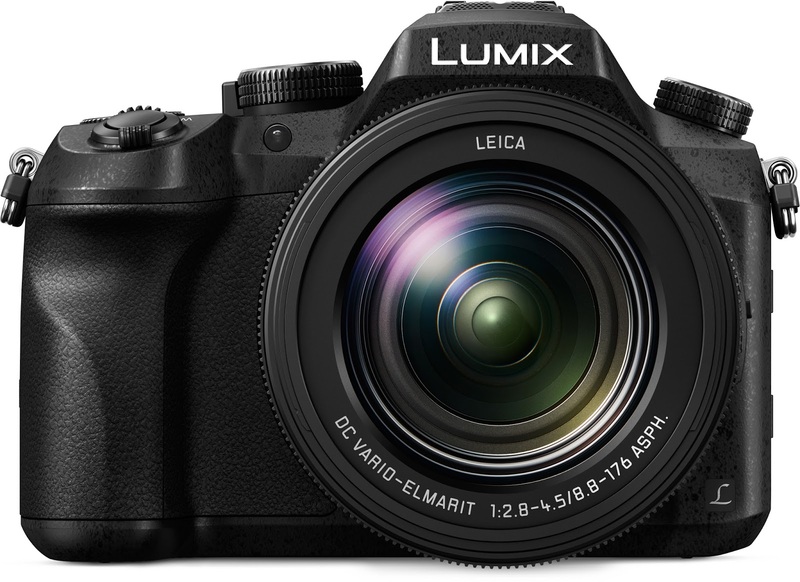 In this Panasonic FZ2000 review we're looking at the array of improvements and upgrades this camera boasts in comparison to its predecessor, the well-loved and extremely capable Panasonic FZ1000 - how can the new kid on the block outperform such a high-end bridge camera? 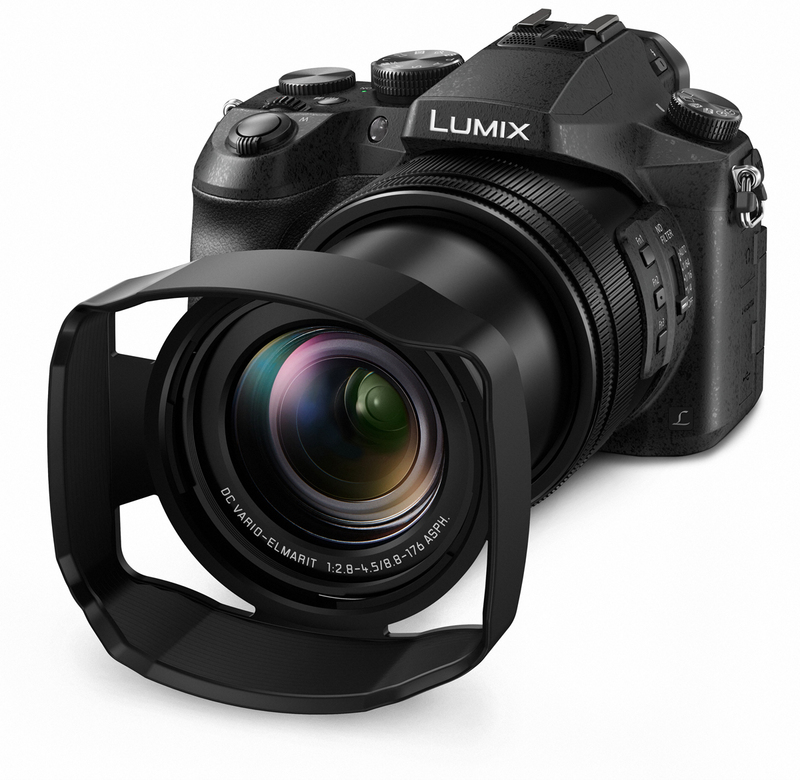 The Panasonic Lumix FZ2000 is a high end hybrid bridge camera built for both photographers and videographers boasting 4K video and 4K photo with some extra features that make it a real step-up from the FZ1000. 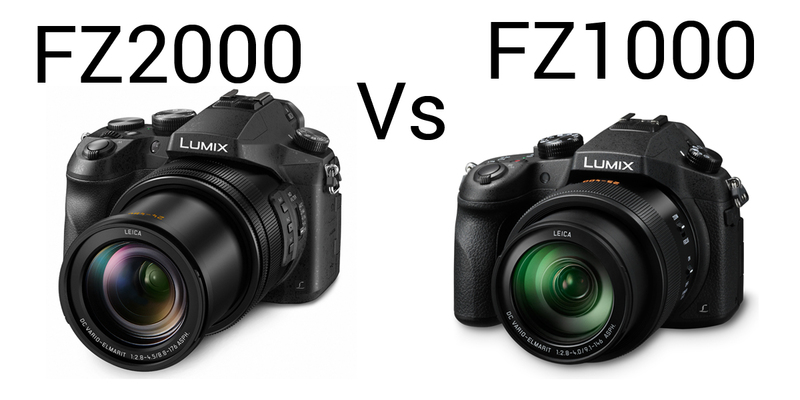 Even though the FZ1000 also supported 4K video, in the time since it was released Panasonic have made some advancements that they’ve packed into the FZ2000. For starters, the 4K video recorded by the FZ2000 is now available at 30fps in MOV format, and will output Full HD at up to 200Mbps. Furthermore, it will output live HDMI output at 4:2:2 8bit recording onto an SD card and 4:2:2 10bit to an external device. It also now has slow and quick modes, VFR and a dolly zoom feature. Read our blog on what memory cards are suitable for recording 4K video. One of the biggest changes of the FZ1000 is the addition of 4K Photo. When the camera is in 4K burst mode, it will record 30 frames at 4K before the shutter is pressed and 30 after, giving you 60 frames (2 seconds) of 8 megapixel (4K) images to choose from, which will be great for shooting unpredictable moments or capturing something you might have otherwise missed. 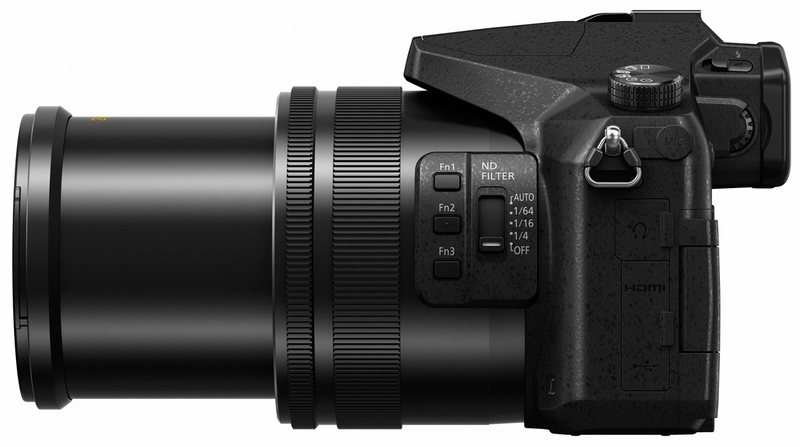 The FZ2000 has an all new Leica DC Vario-Elmarit f/2.8-4.5 lens with a focal length of 24-480mm which is a 20x zoom, this is a welcome improvement over the FZ1000’s 16x zoom. Additionally, the FZ2000 now has an inne zoom structure meaning the lens stays a fixed length, as well as step-less iris control for smooth focusing and aperture control and a built in neutral density (ND) filter. Here the two cameras differ very little. 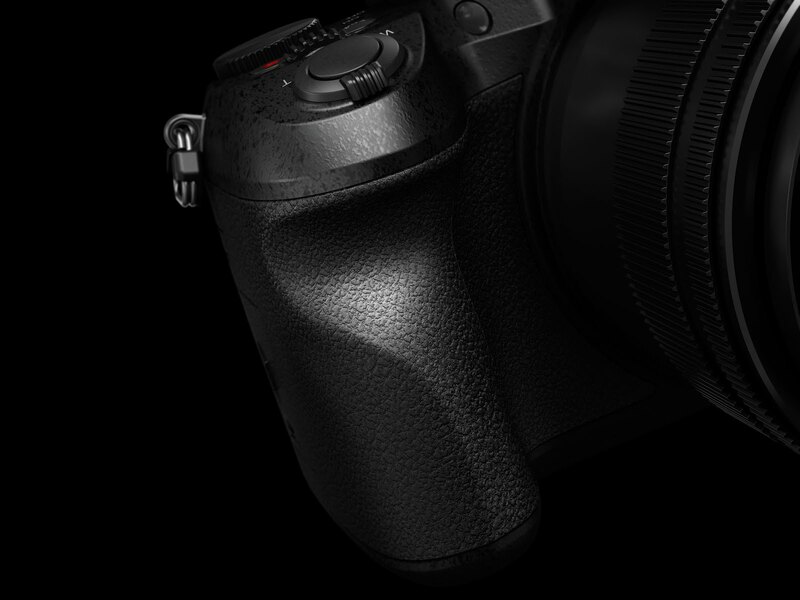 They both share the same 1-inch 20 megapixel sensor but the FZ2000 boasts improved noise reduction and sharpness as well as a fine tuning of the sensor and the Venus image processing engine. Some great changes to the FZ2000 come in the form of its body updates, it now has a touchscreen LCD on the back, still 3 inches in size but now it’s 1,040k-dot compared to the FZ1000’s 921k-dot screen. Other noticeable changes include the addition of second ring on the lens and an additional dial on the top as well as improved functionality to the buttons on the side of the lens, as well as a 3.5mm headphone jack to complement the existing 3.5mm mic jack. There are two additional features of the FZ2000 that make it stand out against its predecessor, they are Post Focus and Focus Stacking. Post Focus works by multiple photos at the same time when the shutter button is pressed, all at a slightly different focal range, and then allowing you to manually select which image you want to use on the touch screen afterwards. The result is that if you’ve just missed the focus of an image you can go back and refine it immediately after the shot is taken, rather than having to bin the shot or re-shoot. Utilising similar technology to Post Focus, Focus Stacking has the opposite end result. Focus Stacking lets you control the depth of field of the image after shooting. When you press the shutter button, multiple images are simultaneously taken both in front of and behind the focal point, the camera then digitally blends these images into one ultra-sharp focus image with an amazing depth of field that wouldn’t otherwise be possible. Overall, the FZ2000 has some decent technologies in it that make it a pretty noticeable improvement over the FZ1000. With the updated body, redesigned dials and controls, the new lens, updated 4K video and the new 4K photo with post focus and focus stacking, the FZ2000 is a great hybrid bridge camera whether you’re a photographer or videographer. Have you seen our comparison of the Panasonic GH5 vs GH4? I own the FZ1000 and it's a cracking camera. I only bought it recently, because I was waiting to see if Panasonic would be releasing the replacement. However, having read this, I'm pleased I went ahead and bought the FZ1000, yes the extra features offered by the FZ2000, would be great, particularly the slightly bigger zoom, built in ND filter and touch screen, but there's no way I could ever afford or justify paying over a £1000, for a bridge camera. I think I agree with Rose,..the FZ2000 is just too expensive. The ONLY thing I find tempting is the increased zoom. I will soon be buying one or the other. I doubt if I will pay the price for the newer model. While it's not everyone's key feature, the biggest difference of the FZ2000 over the FZ1000 are the improvements in video. 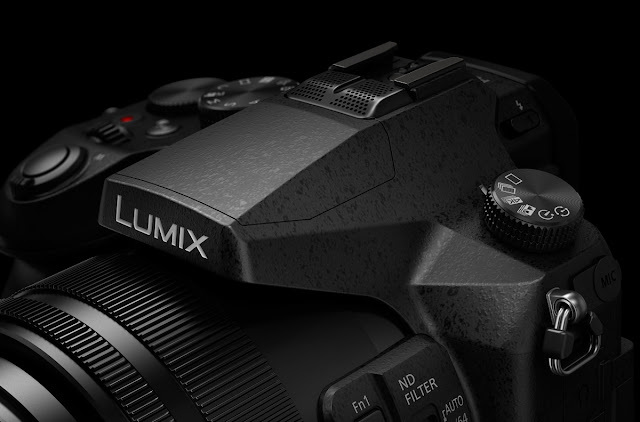 Panasonic have taken a number of features from the awesome GH4 and packed them into the FZ2000, alongside the new, longer and better zoom and all the existing features of the FZ1000. But the FZ1000 will still be available as it's a much loved camera. Hope this helps you both in your decisions! the fz1000 takes 4k Photos just for info. 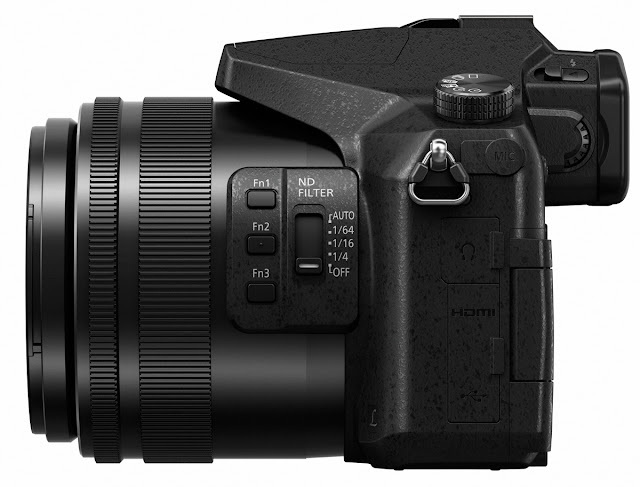 I'm looking to buy a bridge camera and the FZ1000 would have been my preferred choice except for the shorter zoom compared to the SOny RX10 III - but this update (almost) solves that problem, although the zoom is 1/3 stop darker and ends at 480mm rather than 600mm, but I guess a little bit of digital wizadry can help with that! Video is great if that's what you're in to. I would like the extra zoom, but would like weather sealed more! Most (all?) reviews I've read, about a dozen or so, have the FZ1000 _beating_ the FZ2000/2500 in all areas of quality, pics and video. - Extra features are nice, but if they don't result in better pics or video (the things you're actually trying to achieve) then what good is it? I can add a variable ND filter to the FZ1000 that's better than the FZ2000's built in one. The touch screen is about the only thing that would be nice, but once you get the FZ1000's buttons configured the way you want it's not a big deal imo. Bottom line... better pics & video for 1/2 the price? I'll take the FZ1000. What reviews said that the 1000 is better than the 2000?